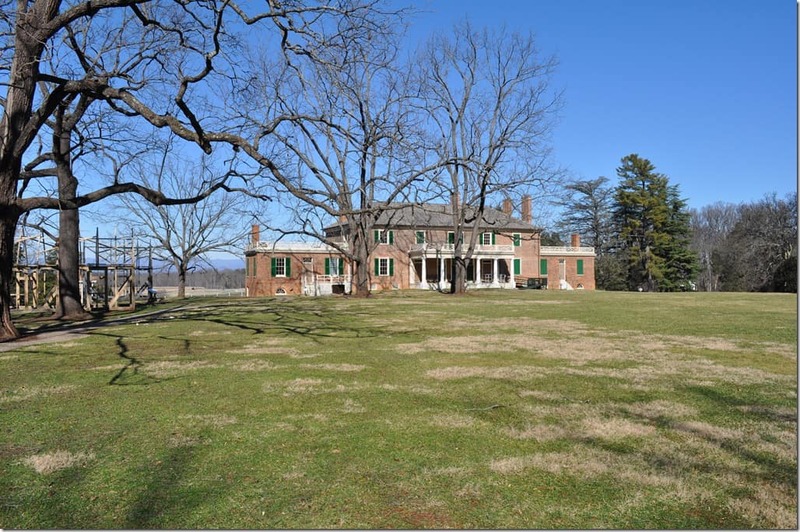 We are lucky enough to live just a short drive from the homes of some of our most famous Presidents. 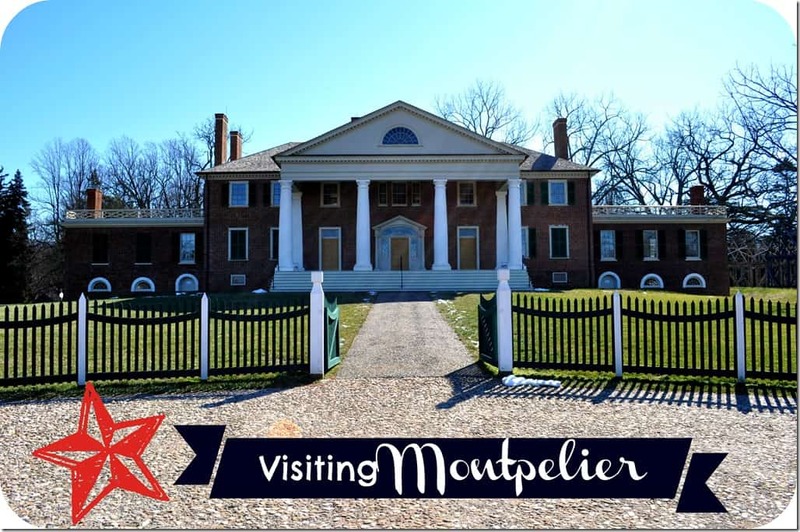 Thomas Jefferson’s Monticello is located about 35 minutes south of us in Charlottesville; but even closer to us is Montpelier – the home of James and Dolley Madison. 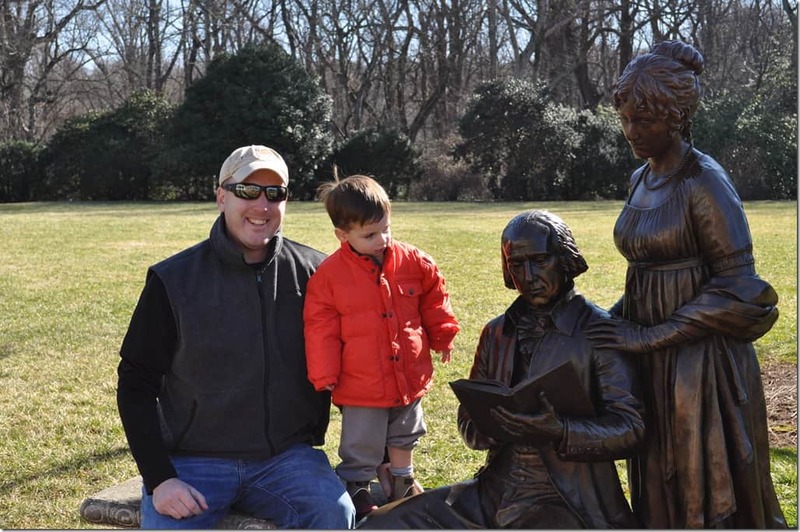 It had been a few years since we last visited this impressive estate, so I decided that this week would be the perfect opportunity to return…this time, with kids in tow! 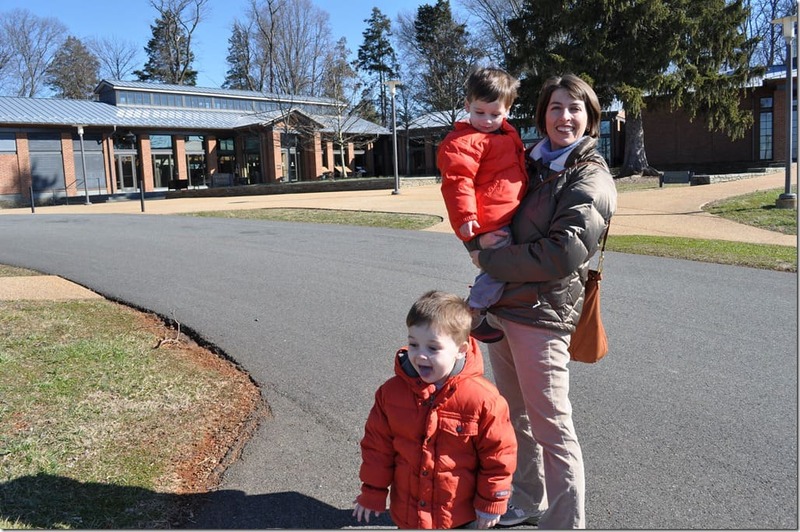 We started at the Visitor’s Center, where we learned that we could explore the grounds (all 2,650 acres) for free, if we didn’t plan to go on a house tour. Perfect! 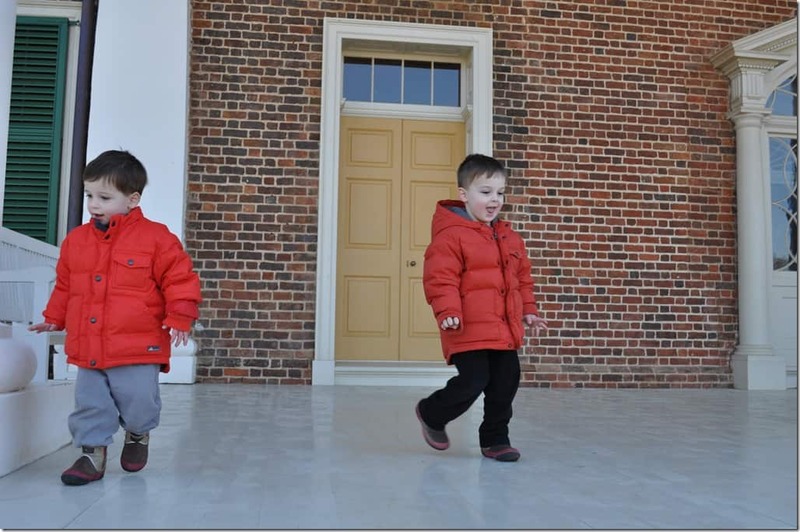 I’m a little crazy, but I’m not crazy enough to want to take two little tikes on a historic walking tour. I know my kids well enough to know that it would be a complete disaster. 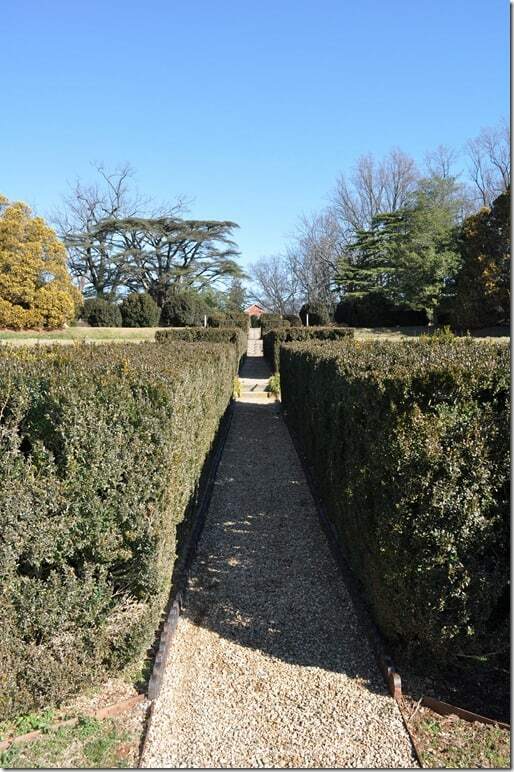 and explore the formal garden (beautiful – even in the middle of winter!). 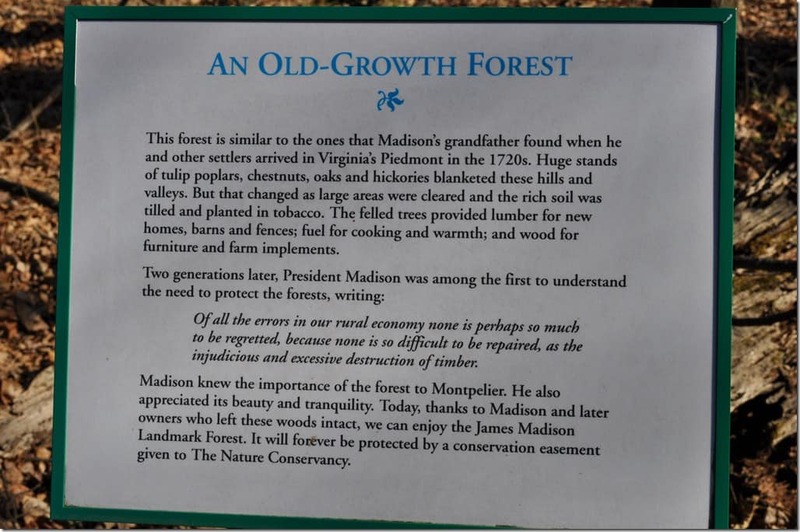 In addition to the horse pastures, barns, and thoroughbred track, Montpelier is also home to the James Madison Landmark Forest. 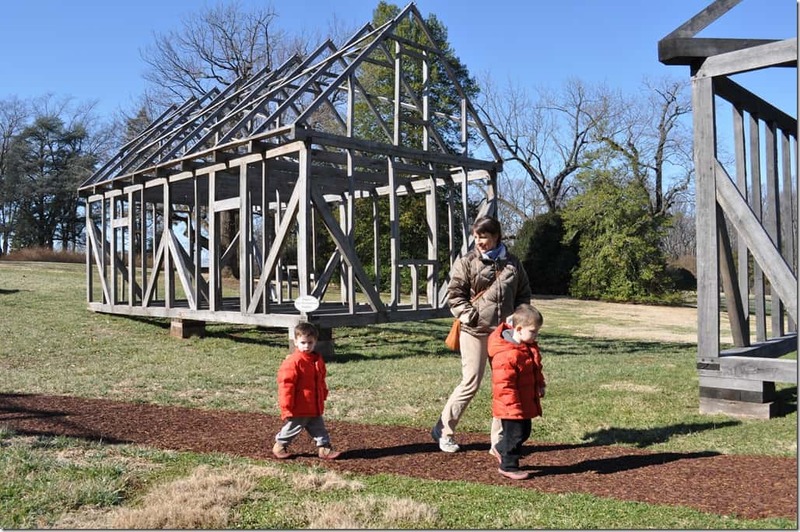 This 200-acre woods has miles of hiking trails, some of which are even appropriate for little legs! We spent a few minutes looking at the HUGE trees and running along the paths, but we really want to return soon (with our stroller) for a longer walk. On our way out, we swung around to the front of the mansion. 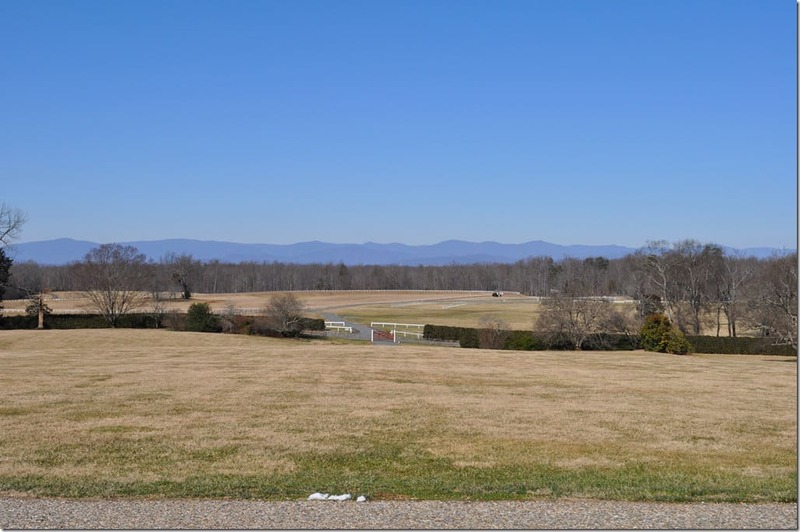 It’s obviously an impressive building, but the views of the Blue Ridge from the front porch were especially gorgeous. Such a fun way to spend a morning!